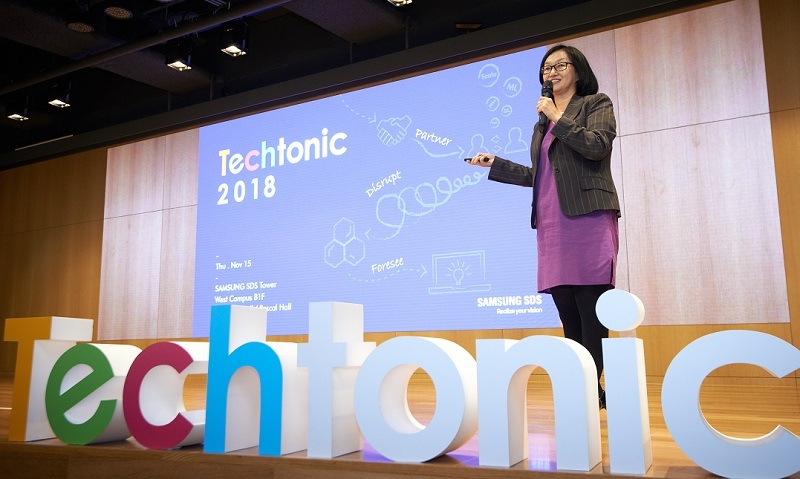 On November 15, Samsung SDS held the Samsung SDS Techtonic 2018 at GHQ (Jamsil Campus in Korea), with the objective of promoting the company’s development capabilities and of leading the IT developers’ ecosystem. As many as 1,000 people including developers and researchers in the industry as well as technology graduate students participated in the conference, showing keen interest in the event. At the conference, Samsung SDS introduced its latest AI, analytics, Blockchain, IoT and security technologies as well as its various developmental know-how; and announced its open-source platform Brightics Studio. A company with the largest number of developers in the Korean IT service industry, Samsung SDS held the developers conference for the first time, with the aim of expanding its developers’ ecosystem. 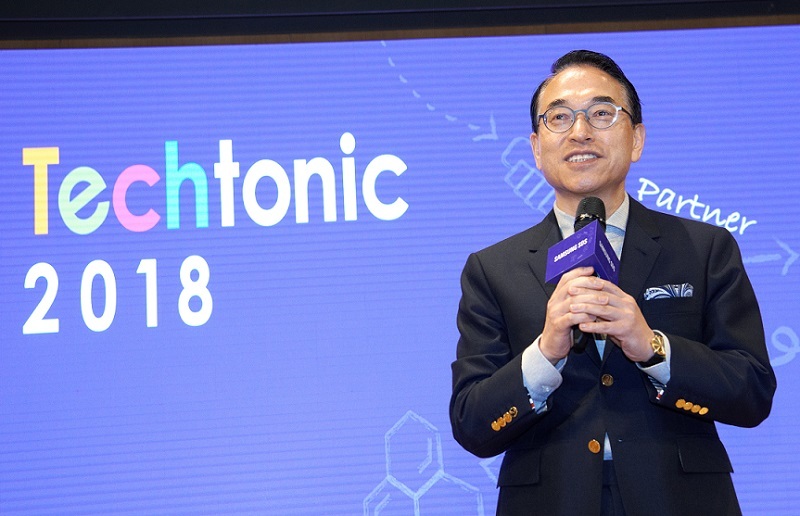 Following the welcome speech, Samsung SDS CTO and Senior Vice President, Shim Yoon's keynote speech – under the three themes: partner, disrupt and foresee – highlighted Samsung SDS’ global partnership, differentiated technologies, and future technological roadmap. He also introduced the AI-based platform Brightics (analytics, visual and conversational); the Blockchain platform Nexledger; and the fully homomorphic security encryption technology, receiving positive audience responses. These solutions, developed with Samsung SDS’ differentiated technologies, can be applied to the manufacturing, finance, service and logistics industries. The conference was comprised of 12 sessions covering AI, analytics, Blockchain, IoT and security. In particular, Samsung SDS grabbed everyone's attention by announcing for the first time its open-source AI analytics platform, Brightics Studio, which will be used to lead the AI analytics ecosystem. Brightics Studio is the open-source version of Brightics AI, a bigdata analytics platform for enterprise customers. The open-source version allows users including novices to easily use all functions needed for data analysis, including deep-learning, without separate coding so that more people can use data analysis. You can freely download Brightics Studio on the Brightics AI website or on the Github website. Lastly, Samsung SDS introduced two services developed by its internal corporate venture teams: AlphaLaw and Insfiler. The former service compares and reviews users’ business contracts; identifies potential risks; and makes revisions, using AI technologies. The latter service analyzes and profiles publicly available data sets from diverse aspects to provide user insight into the data. Samsung SDS plans to hold more conferences at its head office to allow networking among developer communities. On November 23, the Agile Korea Conference 2018 will be held at the company’s head office.